Thank you once again for a wonderful time in the Himalaya . A well organized expedition in the Lhotse/Everest area and a good time was had by all. Thanks to yourself, Jetta, Garma and Dawa for their wonderful work making my trip such a great experience. A lot of good instruction and experienced work was gained from Jetta, on the mountains. 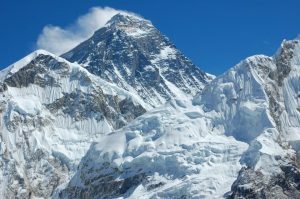 I am looking forward to my trip to climb Cho Oyu next October 2008. Thanks to you all once again. See you all next year. Thanks for looking after us from start to finish. The trek was amazing and hopefully one day my legs will recover. Your choice of hotel and guest houses was great. Also many thanks for inviting us to your house for dinner. Your family and the food are sipes! I hope to come back one day so you will have to improve your card playing. P.S. Please thank your cousin for carrying our bags. Thank you so much for wonderful time and showing me the best places around Kathmandu . Your Hospitality and big smile will always be in my memories. Gyanu your wife and your little girl and boy for a lovely meal and welcome. I will never forget it and finally thank you for organizing my stay in Chitwan –it was unforgettable experience! P.S. Watch out! I am going to send lots of friends to use your services! I heard about Min and his company through a couple of friends at work so had no calm about booking my trip through him. We were not disappointed. From the outset we were met at the airport and looked after exceptionally well from that part onwards. Our guide Lok was fantastic and couldn’t do enough for us throughout the trek and after also. JB our porter was also brilliant and never stopped amiling for 10 days even at the top of 3000 steps after carrying our luggage all the way.Can quite honestly say that this has been one of if not my top holiday to date as with all the scenery and helpful guide etc, it was all easy and left us plenty of time to gaze at the most incredible views I have ever seen. Thanks Min and take care. Many thanks to Min and all at Mongolian trekking for a fantastic and memorable holiday. Our guide Lok and porter JB were exceptionally helpful and always smiling and we couldn’t have had a better company. Our route was ideal, taking in endless stunning views with of course the highlight being Annapurna base camp itself which was breathtakingly beautiful. The teahouses were all clean and comfortable and food good especially the dal bhat which Lok & JB seemed to eat for breakfast, lunch and tea. Hope to be back one day to experience more of Nepal ’s wonderful hospitality and will be sure to contact Mongolian Trekking when I do. Take care and see you soon. We had a terrific city tour with Jesus. He was very friendly knowledgeable and spoke excellent English. We learned a great amount about the local history, culture and religion. It was a terrific experience and gives many thanks for the tour. Brent Snyder, David Thuvson + Rebecca Snyder USA . 20 of the most wonderful and adventurous days as any of the 3 of us have ever had . The best thing of all is that being treated as a family rather than a client . All accommodation and food along the trek was 1st class. Thank you for all of your help. I feel sometime it is very difficult in Nepal but I am not worry because some good men are around me like you. I think some work is take long time but eventually good work is completed and it is still progressing it is doesn’t matter success or not because we are now working. B K Hwang Korea . Thanks for a great two weeks in which I have flown past Everest trekked to ABC and eaten copious amounts of toast and honey. From start to finish your service has been excellent and your company has been a pleasure. I will long remember this trip. To sum it up in two words‘awe inspiring’. I will certainly recommend you to any friends who may wish to follow in my foot steps. Best wishes to yourself and family for the future. Maybe one day we can have another epic cards night with your cousin. Huge thanks for the last two weeks, its been one of my most memorable experiences. Your help in everything involved with the trek is very much appreciated and I will be sure to recommend both Nepal and you to other people back home. The hospitality shown by both you and your family has been great. Thank you for a fantastic time in Nepal . Thank you Min as well . We really enjoyed the time trekking and the time in Kathmandu as well goodluck in the future and may all your wishes get me kind regards. You’ve been the greatest there’s no guide like you. Best of luck. My trip to Nepal in April 07 after engaging the service of Messrs Boundless Himalayas Trekking & Expedition (P) Ltd was a memorable and wonderful experience. Mr. Min Thapa himself offered his valuable time to accompany and guided me throughout my 8-day trip. 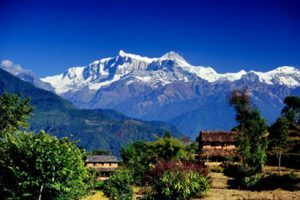 I took a short 2-day trek from Sundarijal to Chisopani and from there to Nagarkot. The trek was a good walking exercise, though the view of the Himalayan mountain ranges from Chisopani and Nagarkot was obscured by the cloudy sky. Mr. Min was very helpful and friendly and was very accommodating in allowing me to change the itinerary to suit my need. The price I paid for the excursion was very reasonable, considering that I traveled solo. 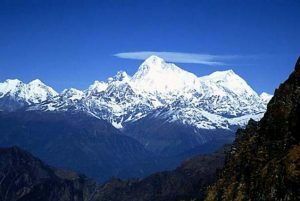 Nepal is such a wonderful haven for trekking and I will certainly go back there in the near future to explore other trekking circuits with the service of Mr. Min Thapa and his team at Boundless Himalayas Trekking & Expedition. 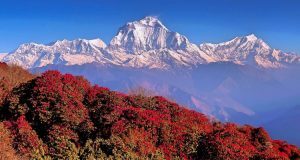 Jai de absolewert ravi de faire le trekking avei tfi-le trajet de chisopani-Nagarkot-Dhulikhel gvi etart tour a fait asreabb, wiwe si fakgvout-aver en prime le preluer soir uve hiaglufigve vue jur la plupart des grauds massifs bywoloyeus. …….just some of the reviews of Mongolian Trekking experience. Seriously- One of the best holidays I’ve ever had. 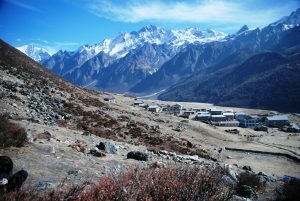 We wanted a “tailor made” trek where we could go at our own pace, eat what we wanted and be as anti-social as possible. So there was non-better than our 8 days out in the sun (and cold) of the Annapurna region. We will come back again (via south East Asia) and make it the starting point for a belting holiday.